In May 1882, Forest and Stream magazine revealed that out-of-season snow buntings were being sold on the streets of New York as “reed birds,” then the common name for bobolinks.2 The misdemeanor had been observed earlier that month by a journalist from Philadelphia. Interestingly, the street vendor claimed that restaurateur James Purssell had purchased a large quantity of the illegal birds. 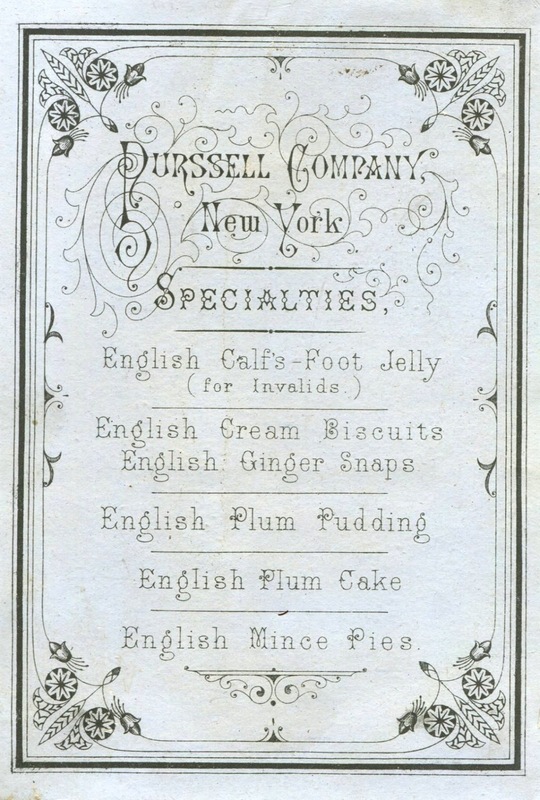 Situated on Broadway in the fashionable shopping district near Madison Square, Purssell’s was a restaurant, bakery, and confectionery that catered to women in high society.3 The article is reproduced in part below, along with two trade cards touting the upper-class establishment’s “English specialties” and catering services. “By this time I had examined the birds and found them to be snow buntings. ‘Are you sure they are reed birds?’ I asked. ‘Yes, I am sure; they came from Philadelphia this morning, and I have just sold Purcell (sic), below here, twenty dozen.’ I then opened on him, and told him whom he was trying to fool and showed him very plainly that reed birds at this time of year (May 1) had not reached Pennsylvania or New York from the south… I made use of very plain language before I left the man, and told him the sale of such birds as he had in the spring would not be allowed in Philadelphia even in autumn. “I have since heard that a very large quantity of these ‘reed birds’ were shipped to New York last week from the north, and learned that families were buying them as reed birds. The sale of these, if I am not mistaken, is in direct violation of New York law, and I must say I was astonished to see them vended so openly on the city’s most frequented thoroughfare. “We Philadelphians do not claim to have stopped entirely the illegitimate sale of game or harmless birds, but our boldest hawker would not have dared to display such a string of ‘reed birds’ on the street in Philadelphia, and I can say he would not have gone many blocks without having been arrested. 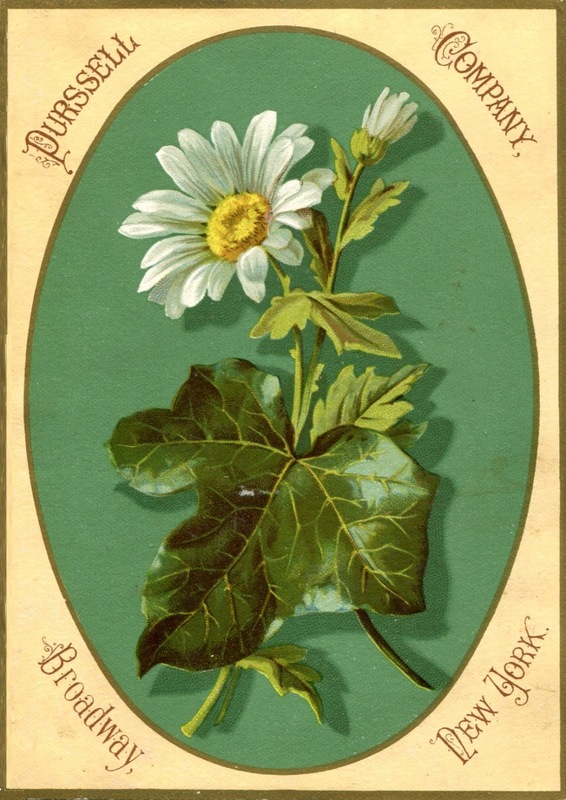 In the summer of 1890, a prominent sportsman dining at Delmonico’s overheard a neighboring table order woodcock. Since it was against the law to sell this woodland bird from February 1 to August 31, he reported the incident to the game authorities who subsequently brought legal proceedings against the famed restaurant. At first, owner Charles Delmonico issued a general denial, intimating that the birds were English snipe which he could legally serve at that time of year. He also stated that it was his duty as a restaurateur to serve his customers whatever they wanted regardless of the season. Nevertheless, Delmonico dropped his defense and paid the fine in April 1893 when he learned that the state had built a strong case against him. The strict enforcement of game laws came too late for species like the Eskimo curlew once favored by American epicures. Despite having been one of the most numerous shorebirds in North America, it had already been hunted to extinction. 1. 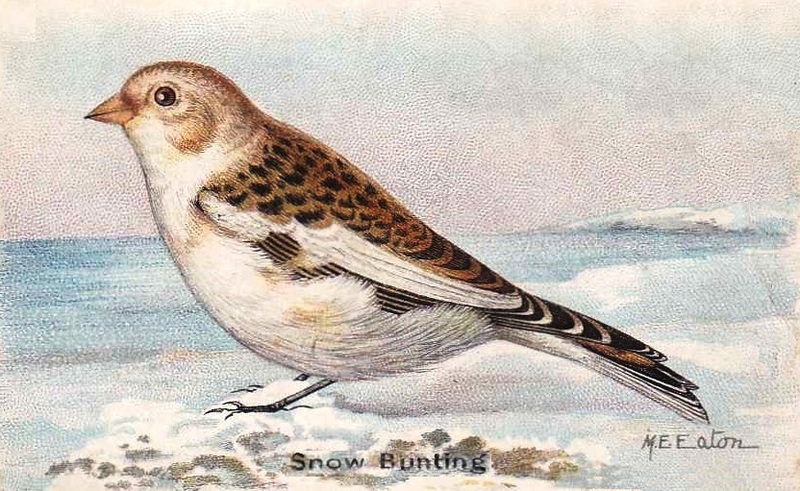 “Selling Snow Buntings for Reed Birds (Bobolinks),” Forest and Stream, 18(15): 287 (11 May 1882). I want to thank Dr. Robert DeCandido, known as Birding Bob in Central Park, for sending me this article. 2. The snow bunting is a small songbird with white plumage that lives in the high Arctic and snowy winter fields. The bobolink, a small songbird commonly called a “reed bird” because it perches on a grass stem, migrates to and from southern South America each year. Ironically, this species had not yet arrived in North America in early May when they were supposedly being sold on the streets of New York. 3. In 1886, Purssell’s at 910 Broadway went bankrupt and the contents of this location were sold at auction. 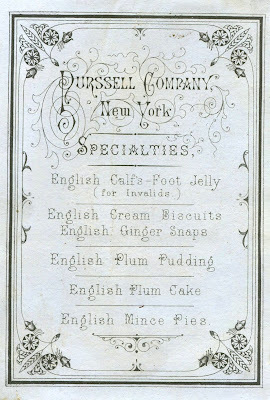 James Purssell opened other eponymous restaurants in partnership with his creditors. New York, June 1 . 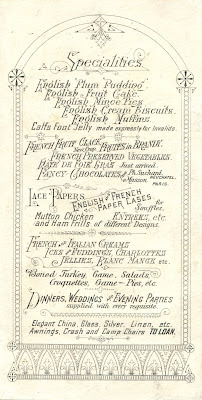 On the occasion of the late Washington wedding, the menu, as printed on cream-colored silk, included Woodcocks on Toast—decorated (viz. New York Herald, May 22d). While the strict observance of the game laws throughout the country is of general interest, and as a matter of principle, woodcock, owing to its migratory nature, is a bird in which every sportsman North and South has a direct interest. Wrongfully killing woodcock makes us all losers, and by loud and indignant protests from all sections of the country, the practice of creating a demand for birds out of season must, in even the highest or the happiest of occasions, be censured. We perfectly agree with Gruz. 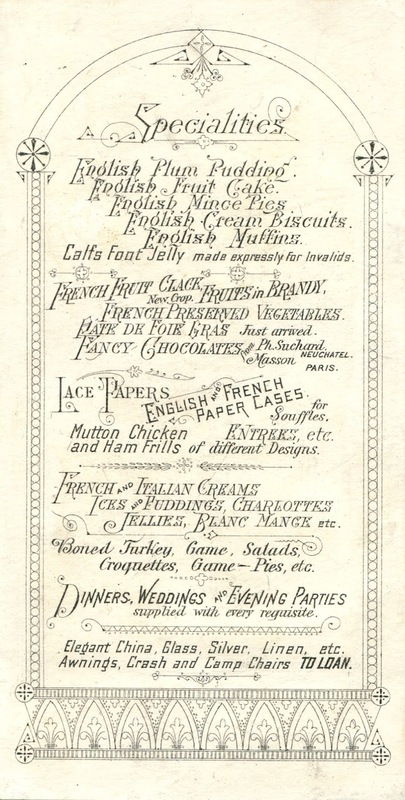 General Grant, even on this auspicious event of the marriage of his daughter, ought not to have had "woodcock—decorated" at the nuptial feast. Of course the President is responsible for all the actions of his Cabinet, and we sincerely trust that, with Richardson and Sawyer, his chief hotel and head cook will come in for a severe wigging. We mail General Grant a copy of our close season.